Sri Lanka’s debt-ridden national airline will sell four new Airbus A350s, a government minister said on Monday, two weeks after cancelling an order for four of the aircraft. The state-owned carrier had already sold one of the four planes for a “reasonably good price” to a leasing company and is in talks with airlines over the other three, Deputy State Enterprise Minister Eran Wickramaratne said. The International Monetary Fund (IMF) has agreed a $1.5 billion bailout with the Sri Lankan government to help the island nation avert financial crisis. The government is also negotiating for more project-related loans. Helped by lower oil prices, it posted a group net loss of 16.33 billion rupees ($113 million) for the financial year to March 31, after a 31.37 billion rupees loss a year earlier. When buying the planes, somebody made money on commissions and now by selling them somebody is going to make some money again. The article says, Sri lankan Airlines needs short range planes, again buy them and get the commission. 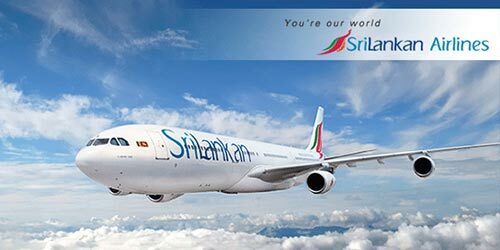 If at all is sri lankan airlines continue to operate thenit should be made to pay its way and not expect hand outs from the government. Obviously the large army of employees will be made redundant most of these guys could be paid off from the proceeds of the sale of the air buses. Few others could be absorbed into airforce to service the the aircrafts that is in the inventory. Since the assets of Sri Lankan air lines is public property the public has a right to know as to who is contracted to do the sales and the price and come out statements like `reasonbly good price” a diffrence of few millions either cannot be considered a reasonable if the deal is crooked and who is the decision maker! The larger the fleet the greater the operating costs so any thought of sustaining the SL airlines is futile. The airport authority ought to add the operational costs of the Sri Lankan airforce and how many million of dollars are involved in that operation.